While browsing through the Modern Dose (http://www.moderndose.com/) website, I found a little design inspiration. Every month, they do a room of the month contest. This month's winner is a guy from the Bronx who truly embodies the Youz*d philosophy. Not only does this guy use second-hand furniture to decorate his mid-century apartment, but he's also taken a few plunges into the dumpster to find the hidden gems left behind by his fellow New Yorkers. 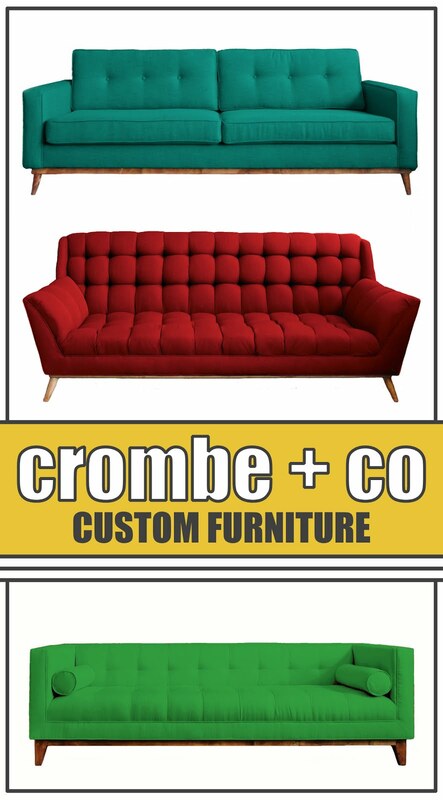 Alex's mid-century living room is has given me a few great ideas for my own retro living space. My fave feature, the lit shelving mounted above the flat-screen TV. Modern Dose carries the typical mid-century, Eames-era pieces that you'd find at any modern design store. Not looking to drop $2500 on a chair? Then check out their wall decor and accessories pages. They're full of cute affordable pieces to add a little flair to your space. 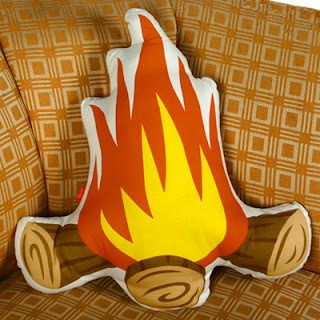 Doesn't everyone need a little campfire on their couch?